Are you in the market for a reliable pre-owned pickup, but aren’t sure where to start? The good news is that now is a great time to find high quality used trucks for sale. Albany, NY dealerships have a great selection of pre-owned pickups from nearly every automotive manufacturer, and DePaula Used Cars has them available at the perfect price point for your personal budget. Whether you can spend upwards of $40,000 on a new-to-you truck, or less than $15,000 on a used truck, the experts over at DePaula Used Cars can help. Regardless of where your sights are set – on Chevy, GM, Buick, Ram, Toyota, or Ford, DePaula Used Cars has you covered. It may be true that pickup trucks are the most utilized vehicles on (and off) the roads, which has made used car shoppers steer clear of them in the past. Luckily, today’s pickups aren’t just built to perform out on rugged job sites and on all-terrain excursions, they are built to last through it all – mud, sand, water, mountains…you name it. If the terrain is tough, and the path is not clear, a capable pickup truck will get you through to your destination on time and unscathed. Whether your destination is a remote work site, a secluded campground, or your home after a northeast blizzard, pickup trucks are the loyal vehicle that will get you there safely and without incident. With so many reasons why you would want to own a pickup truck, there aren’t many reasons why you wouldn’t, except one. Price has played a major role in the reason why drivers who dream of pickup truck ownership don’t actually move forward with purchasing one of their very own. All too often, these drivers get discouraged with their budgetary restrictions and end up passing on a lifelong dream they have held onto since childhood. Rather than be the losing person in this scenario, consider purchasing a high quality used pickup truck from DePaula Used Cars. Be the winner in your dreams and in your life, by driving home in a truck that fits perfectly into your budget and that offers everything you have ever needed or wanted in a rugged off-road ready pickup. As more and more car shoppers realize that they can own a capable and dependable used truck for much less than buying new, they have arrived at dealerships here in upstate New York in droves, hoping to get their hands on one of their very own. DePaula Used Cars may not be the oldest dealership here in Albany, but we are owned and operated by the DePaula Automotive Group that local residents have trusted for decades. While DePaula Chevrolet offers new Chevy cars, trucks, and SUVs, as well as pre-owned versions of the same models, DePaula Used Cars is focused solely on finding and selling high quality used cars, trucks, SUVs, and crossovers. Thanks to our already outstanding reputation, DePaula Used Cars is providing the best used car buying experience to local residents. Regardless of what your budgetary restrictions may be, or whether you have always purchased used cars, or this is your first time buying a pre-owned pickup, the expert team here at DePaula Used Cars is ready to help you on your journey. On any given day, here at DePaula Used Cars, we have hundreds upon hundreds of pre-owned vehicles available for sale. That includes a large number of reliable and dependable used trucks. From compact pickups like the Toyota Tacoma or the Chevy Colorado to full-size heavy-duty options like the Ford F-350 and the Ram 2500, DePaula Used Cars has all of your pre-owned pickup needs covered, and then some. 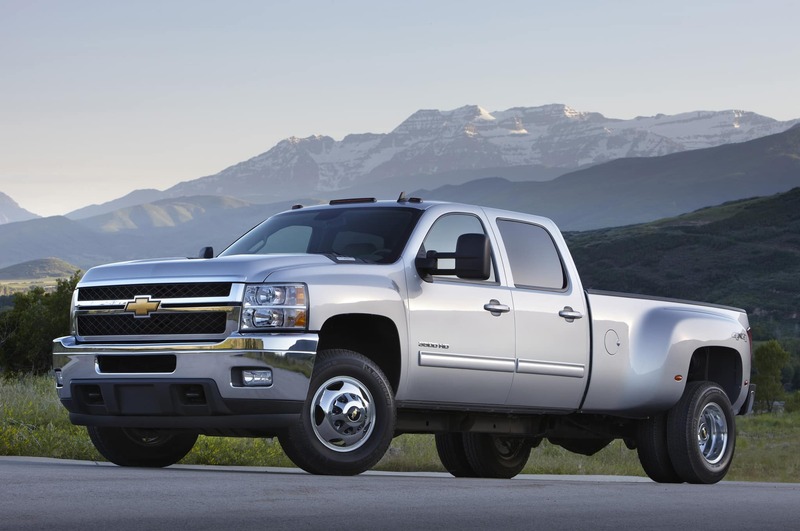 The pickup truck segment is home to some of the most capable vehicles available in the United States. Because of this, they tend to hold their value much better than other vehicle segments and can end up being on the higher end of the pricing scale as a result. Before you let this discourage you from exploring a used truck as an option for your situation, it is important to take a look at the whole picture. The first example comes in the form of the full-size pickup truck offering from RAM. The 2014 Ram 1500 Big Horn model, equipped with four-wheel drive, featured a starting MSRP of over $40,000 when it was sold new. While that number is out of a lot of people’s price range, it isn’t when you consider buying the same exact truck in pre-owned condition. This truck may cost upwards of $41,000 brand new, but pre-owned versions with an average of 50,000 miles are selling for right around $25,000. While that price isn’t a complete 50% mark down from the original MSRP, it does represent a striking discount for the same capable and well-equipped pickup truck. DePaula Used Car offers a massive inventory of used trucks that are just like the example above. While they cost their original owner a pretty penny for all of those upgrades, you are able to take advantage of their refined taste, by purchasing the same used pickup truck for much less money at signing. For added assurance that your used pickup truck will last for years after you acquire it, there are things you can look out for while shopping for a pre-owned pickup. Finding a reliable truck from a reputable dealership like DePaula Used Cars is the best way to ensure your purchase is protected, but there are other areas you should be paying attention to, as well. For starters, ask for a vehicle history report. DePaula Used Cars will automatically include this with all of the used vehicles we sell, but that isn’t always the case at all dealerships. Study this report for any major accidents, flooding, or other reported damage. Find out how many owners the pickup truck had, which can be a telltale sign that something is amiss. If a used truck from 2015 has already been passed through multiple owners, it could be a sign that something is seriously wrong with the truck in question. On the other hand, a used pickup with one or two owners can be a positive sign indicating that the vehicle is reliable and served its past owner, or owners, very well. The second thing you can do to make sure your used truck purchase will last, is to have a look underneath the pickup. Look for any sign of excessive wear and tear, any loose parts, or missing components. If you are not mechanically inclined, you may want to invite a mechanic along for this inspection. Pickup trucks go through a lot of heavy duty off-road hauling, towing, and driving, so making sure that the undercarriage of a used truck is intact, is an important step you shouldn’t skip. Third, do some research. Look into various truck brands, and see which years are the best for dependability, reliability, and durability. Trucks that tested well in these specific areas are more likely to last longer, and will make exceptional pickups to purchase in used condition. The final way to ensure that your used pickup purchase will not wind up with a bad ending, is to trust the experts here at DePaula Used Cars for all of your pre-owned pickup truck needs. We are ready and well-equipped to handle all of your used truck buying needs, and our knowledgeable team can answer any questions or concerns you may still have. Come down today, and discover how affordable and smart purchasing a pre-owned truck can actually be.